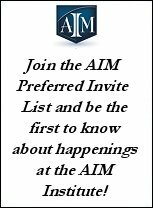 American Institute of Mediation : AIM Institute : Articles : Is Mediation a Pipe Dream? Is Mediation a Pipe Dream? Question: I am a lawyer with 17 years of experience with a large, credible firm here in my city. I am just getting into mediation and beginning to start my practice. But I have a friend, a former colleague, who is really struggling to make a living doing commercial mediation. Will somebody give me the real truth? Am I wasting my time? I go to these mediation conferences and all everyone talks about is how well they're doing, but secretly, I hear otherwise. Is this profession just a pipe dream? This is a real decision for me and I don't want to dive into a pool to find that the water was just an illusion. Answer: Good for you for wanting to investigate before leaping into a new profession. You are not alone in your concerns; in fact many people in this profession (perhaps including your friend) are wondering the same things you are. In many ways, mediation is like any other profession or business, where some do well, some fail, and the rest are somewhere in between. But in many ways, mediation is unlike other professions because it is a relatively young profession, so it's not like the practice of law, where passing an exam and becoming licensed open myriad opportunities. It is also different because the field has been populated by people who have moved laterally from other professions, so at present, one's success in mediation has a lot to do with the prior experience they bring to the table, and is therefore even less predictable. What I know from my own experience (approaching 14 years as a mediator) is that many mediators are doing very well and prospering in this profession, but most in the field would probably tell you honestly that they would like to be doing much better. There are many reasons why some people succeed and some struggle in this profession, and there are many variables one must consider. First, we can divide the causes for success and failure into two categories - the individual and the local mediation marketplace. Looking first at the individual, most people first need to examine what draws them to this work. Being a mediator has a dangerous seduction to which many people fall prey. Most of us are drawn to it because at some level we want to be peacemakers, and some of us because we want to be heroes basking in the glory of solving the problem that nobody else could. Some are drawn to the profession because we have so successfully marketed mediation that we have made it look easier and more lucrative than it really is. Some people are drawn to it purely for honorable reasons, to do good for human kind, and are less concerned about making money. Some people are drawn to it because they are burned out of practicing law or sitting on the bench and want to use what they already know to help them in a related career. This is where the honest self-analysis must begin. Are you seduced? Does it look like quick, easy money? Do the mediators you know make it look like a fast buck with fat hourly fees? Or are you just looking for something to get you out of practicing law, wrestling with partners, dealing with clients and battling with opposing counsel? The most common mistake, which has been reflected in previous columns in this space, is that people fail to treat a mediation practice like a business, complete with a business plan, budgeting, marketing plan and even board of directors. But there is another common mistake I find that can be the result of answering yes to any of the questions above. Those who come into this profession because they are seduced can fall in love with their own style of mediating. They can say, "this is how I do it" and stick to one model that they perceive as "pure" or what they believe the market wants or should want. As mediators whose role it is to ask questions, many of us tend to approach our work without asking what the clients really want. There are many mediators struggling to make a living who are busy delivering a style of mediation that may not be what those hiring mediators are seeking. As a business professional in a service business, a mediator's job is to figure out what the customer wants and provide it, if we want to be hired (or hired again). Mediators constantly complain to me that they did what they consider great work for a client who never called them again. The answer to that problem is one of two things - either the client did not feel the same way about the service, or the mediator failed to stay in touch with the client and was forgotten as soon as the client did three other mediations with three other mediators. Just because lawyers and clients flatter us, does not necessarily mean that they like our work. Remember, it's a negotiation and they are seeking every advantage. Many of us need to take a good, long look in the mirror and see if what we're offering is what the marketplace is buying, or if we're offering what we feel comfortable and safe (and sometimes righteous) in offering; If the latter, then we need not ask why the phone isn't ringing. Too often, mediators complain that the colleagues of theirs who are being hired are "doing it wrong," leaving me to conclude that either the marketplace needs much more education about what we do and how we do it, or we need to adapt to the marketplaces tastes. In reality, it's probably a combination of the two. In my opinion, the challenge of being a successful mediator is really about finding the consumers of our services who want what we're offering. A facilitative mediator sitting between two parties who want an evaluative settlement conference means to me that that facilitative mediator probably won't be hired by those parties again. The same goes for the evaluative mediator sitting between two sides locked in an emotional struggle or who know their case and simply want someone to facilitate the negotiation. Matching the right mediator to the dispute is the surest way for everyone to leave happy (expectations satisfied), and have that mediator begin to build repeat clientele. Next, we have to examine the skill set required to be a successful mediator. Aside from skills at the table, the skills that are perhaps equally as important are those that bring people to the table. Some of the most talented mediators that I know are not good at bringing in business (aka opportunities for them to show how talented they are), and so they end up struggling to make a living and don't understand why. Like Diana Mercer said in the October 2007 column, those people should look for a provider firm and should gladly give up a percentage of their revenues to those who can create the opportunities for them to mediate. Provider firms do more than schedule and manage cases and place advertising. They also serve as a third-party endorser of a mediator's services. For most of us, it is hard to say "I'm a fantastic mediator and will get you great results." But for a provider's marketing person to say that about us is usually more palatable. A well respected provider can also offer additional credibility in the marketplace. Examining the marketplace and how it affects one's chances for success is also a critical variable. A small market may not need more mediators than the supply it has. I live in Los Angeles, where our county trial court administers around 35,000 mediations a year, and that doesn't count the many thousands of mediations that are done by private mediators outside of the court system. There is always going to be room for a good mediator in Los Angeles. But there are also a couple of thousand people who hold themselves out as mediators, so the competition is a challenge and our market is about name recognition. I've met other mediators from smaller Midwestern states, or even smaller cities here in California, where mediation is just now permeating the legal and business communities. In those markets, three good full-time mediators may be all that these markets can support. It is important to do a market study and make sure that there is enough demand for mediators, either now or in the near future, to support another mediator and provide adequate income for you. In summary, I find that the important steps to take are to know one's self honestly and fearlessly (strengths and weaknesses), then know how the marketplace perceives you (which may be quite different). Study the marketplace to ensure that there is room for one more good mediator, and then make a plan for emphasizing your uniqueness, enabling you to enter that marketplace as efficiently as possible. Focus on cases that you feel qualified to mediate, but also on those where the marketplace will deem you qualified. Match your style to the expectations of those for whom you are mediating. Take a lot of training from different trainers to broaden and hone your ability at the table. Follow up with people after you have mediated for them in order to stay "top of mind" with them so that when it's time for them to select a mediator, they think of you. And when you get the opportunity to mediate, above all, do good work. While there is no secret formula for success in this field, there are many mediators who are doing very well for themselves. The best way to become one of them is to follow these steps and work harder and smarter than the next person, and be patient. Like any new business, expect it to take a couple of years before you have reached a critical mass of repeat clients who can provide a steady supply of work. From my perspective, this is the real truth you asked for. A successful career in mediation is only a pipe dream if one expects it to be easy or if one is looking at mediation as a "grass is greener" option. With good analysis of yourself and your marketplace, there is, as they say, always room for one more good peacemaker. I wish you much luck and success!